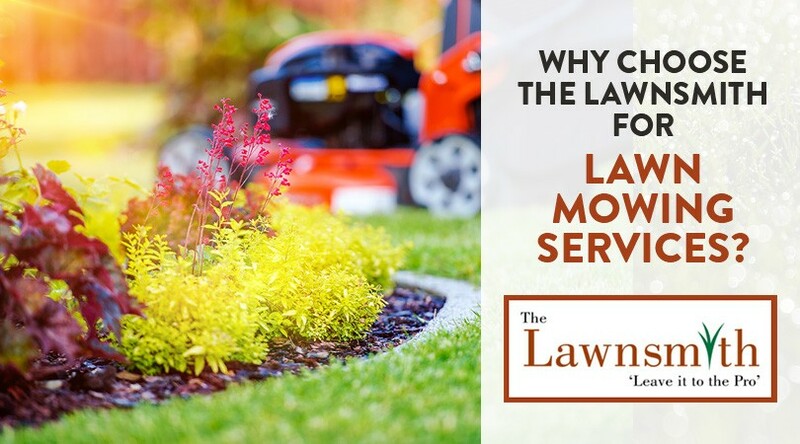 Why Choose The Lawnsmith for Lawn Mowing Services? It seems we had no spring at all in Minnesota this year. We went from a winter that dragged into late April to temperatures near 90 degrees in May. That means you have had little time to adjust from plowing snow to mowing grass. After mowing the grass a few times already this month, you may have realized that you just don’t have time for this in your schedule. If you’re thinking about hiring a lawn mowing service in Minneapolis, The Lawnsmith is here to help. We are pleased to offer professional weekly lawn mowing in Minneapolis MN. After mowing and trimming your lawn, we will blow grass clippings from your driveway and patio. We are happy to establish a schedule of the same day and time each week to make it extra convenient for you. Weekly lawn mowing is important because it enables your soil to breathe. This is essential to keep your grass as healthy and green as possible all summer long and into the fall. You can also request us to mow and bag your grass clippings on a bi-weekly basis if desired. The Lawnsmith celebrates its 10th year of serving the lawncare and landscape needs of residential and commercial clients in Bloomington, Richfield, and the surrounding Minneapolis suburbs in June 2018. However, owner Dan Beutz has worked in the lawncare industry for 25 years. His crew members also come with many years of experience. We are happy to provide you with a free estimate for lawn mowing or any other service that you desire. You just need to list your contact information and the services that you’re interested in pursuing. A member of our staff will get back to you within two business days to discuss your needs. Keeping your lawn neat and trimmed is a basic chore of home ownership. If you really want your lawn to look its best, you may want to consider hiring us to fertilize it. We make five separate trips to your home, starting as early in the spring as possible. The first application helps to control the growth of crabgrass while additional applications are useful in broadleaf and other types of weed. Fertilizing gives your grass the nourishment it needs while eliminating the weeds that can impede its growth. Aeration and dethatching are one-time services that can also improve the health of your grass. With aeration, we perforate your soil to allow for maximum stimulation of roots as well as improved ability of water and other nutrients to penetrate the soil. Dethatching removes layers of dirt and debris that could be several inches thick and preventing healthy growth of your lawn. Please contact us at your convenience to learn more about weekly lawn mowing and other services that can help to make your life easier this summer.